Mainland actor Wu Jing (吴京) is a well-known martial arts celebrity and has several Best Actor awards under his belt for his performances in the Wolf Warrior <战狼> movies. On top of that, he’s become a hero in the hearts of many fans after his new film The Wandering Earth <流浪地球> became a hot topic. However, he revealed on a Mainland talk show that behind every successful action movie are challenges. Take The Wandering Earth for example. It’s a film that was in preparation for many years, as insisted by the director, crew members, and investors. Yet, from beginning to end, there were many difficulties – be it the props or training the actors. Fortunately, everyone overcame the hurdles one by one. “I respect everyone’s perseverance and persistence,” Wu Jing praised. When asked what motivates him to complete shooting after getting an injury on set, Wu Jing said he doesn’t think so much when filming. 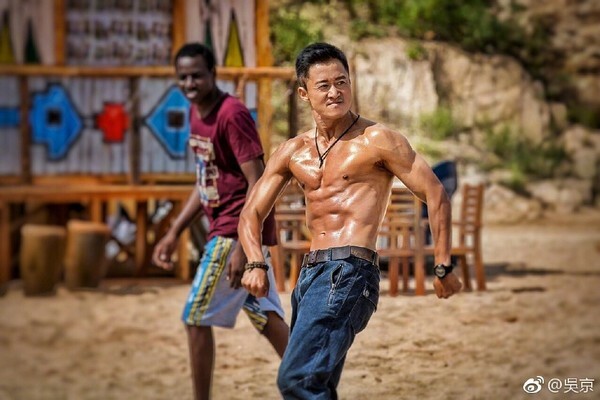 In fact, he’s shot several martial arts action movies in the past two years and encountered many difficult movements, yet giving up midway is not an option for him. He believes it’s necessary to complete the task, especially since he bleeds martial arts. “If you think too much, you won’t be able to do anything,” the actor expressed. 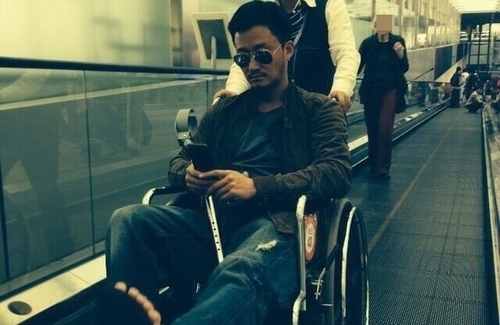 Regardless of injuries or not, Wu Jing stated that one should face situations calmly, try to overcome it, become stronger from it, and turn them into future life experiences.